I was having a tough day last week. When I need to blow off stress, my typical avenues are working out or something equally physical. Destruction is also a cathartic activity but for obvious reasons, not typically prescribed. However, wood needed split on the farm that combines all of the aforementioned activities. In an effort to keep this post educational/relevant to the blog, I have a tip to share whose source is long lost. Some time ago I learned to split wood inside of a discarded tire which keeps the log upright, lessens the need to reset the log and just all around makes the process more efficient. Granted my physical fitness level is nothing exceptional currently, that gained efficiency was lost to frequently needed breaks! 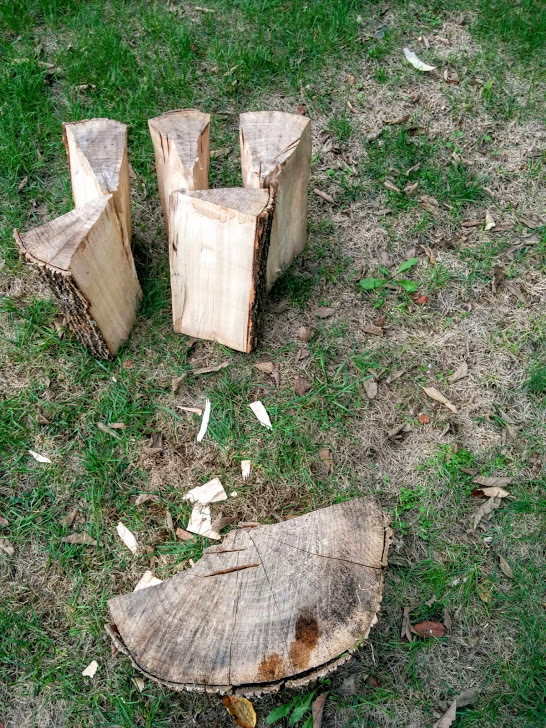 A challenge was presented by one large piece cut near the base of the tree that threatened to be unsplittable. Combining that size, with the opposite branching habit of Fraxinus trees and the brittleness only years of hanging dead drying in the air could yield, I feared I would not be able to split the log. Yet it proved no match for my 205 pounds fueled by negative emotions behind an 8 pound maul. Winning the challenge help turn my day around, bad emotions were alleviated and applied to a destructive purpose in a healthy manner, and I have renewable heating fuel that didn’t require refining or shipping across oceans. Note: the diameter of this log prevented use of my tire trick. 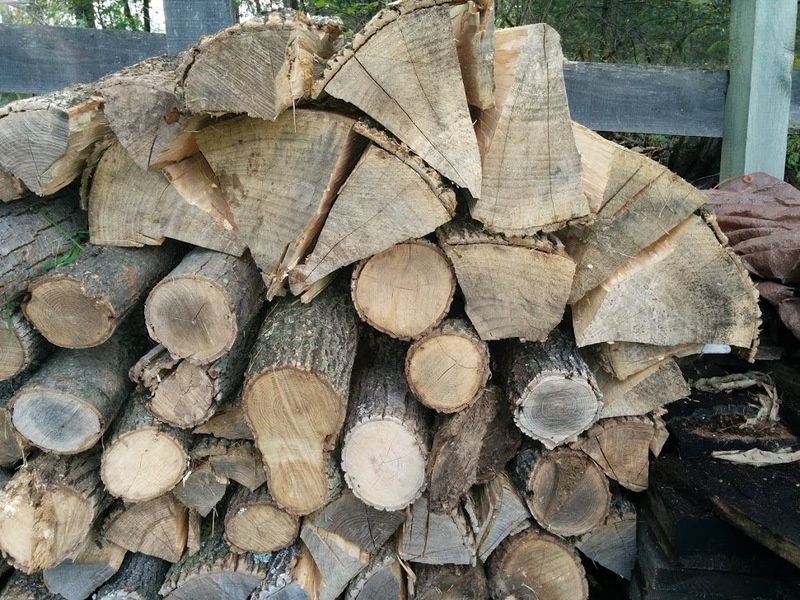 Of course this nice seasoned wood got 3-4″ of rain in 24 hours starting the night it was stacked. Now they are calling for up to 15″ more with a Nor’easter and a tropical storm bearing down. Hopefully I can get it covered! Note: I wrote this offline last week during the extraordinarily high rain events. Final rain totals were 5-6″ over the last 14 days, according to NOAA. Average historical monthly rain totals were reached in the first 3 days of October! This is with no additional rain from the tropical storm that veered off its first projected course. Sorry about your tough day, but glad you took your frustrations out on cutting wood!